General Admission is standing room only. Seating will NOT be available with this ticket. ​Purchasers may be required to submit a Credit Card Authorization Form after the ticket order is processed. ​You will be seated at a shared table with similar ticket holders. Purchasers may be required to submit a Credit Card Authorization Form after the ticket order is proccessed. Seating is available for individuals and all group sizes. You may be seated at a shared table with other guests. ​Seating is available for groups of 3 ONLY. You must be part of a group of 3 people to purchase. * You may be seated in a shared area with similar ticket holders. * Purchasers may be required to submit a Credit Card Authorization Form after the ticket order is processed. 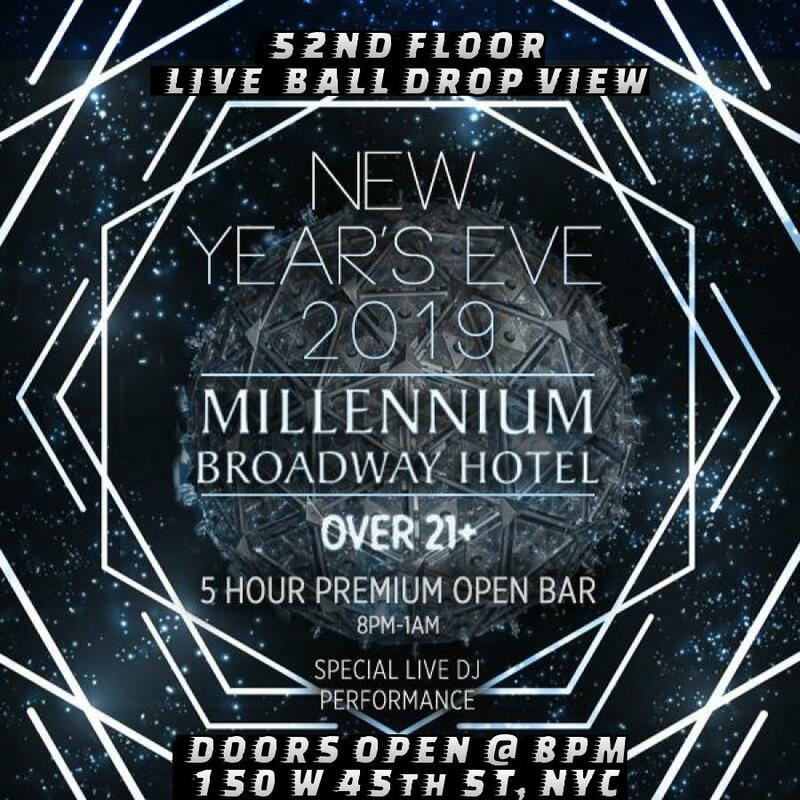 Experience the LIVE Ball Drop from a PRIVATE Penthouse Level Viewing Suite, on the 52nd Floor of the Millennium Broadway Hotel in Times Square. The purchaser of this package will be required to submit a Credit Card Authorization Form. You will receive an email after your ticket order is processed with instructions to complete the authorization. 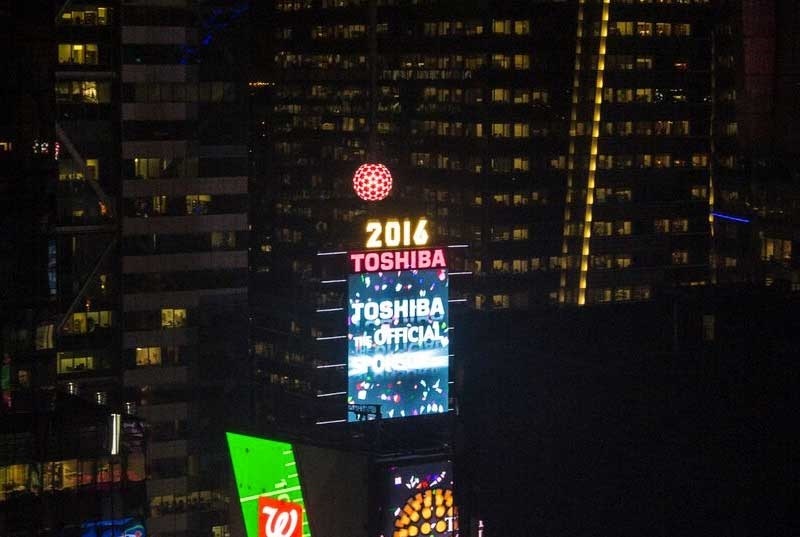 ** Please contact us at [email protected] if you are interested in a Private Room w/ Live View of Ball Drop. We can work with you to accommodate various group sizes. 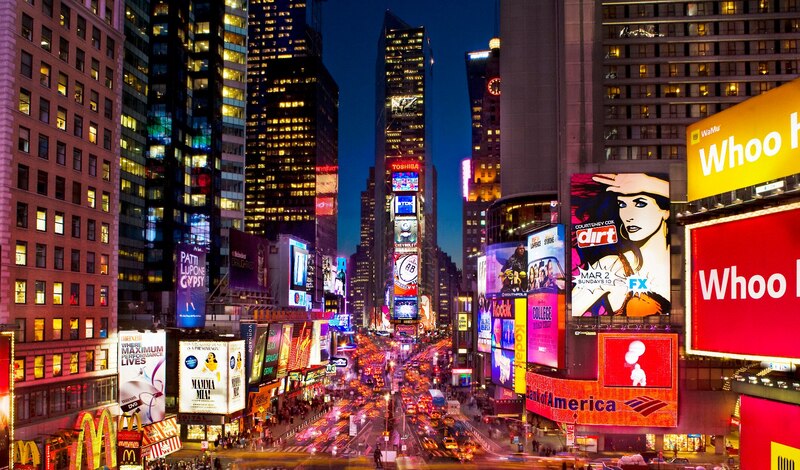 Get front-row seats to the Times Square NYE Ball Drop as you lavish in NYC’s luxurious Millennium Broadway Hotel. Located in the heart of New York City’s Times Square, this incomparable NYE event delivers the most coveted New Year’s Eve action - a guaranteed live view of the iconic Times Square Ball Drop – in a swanky NYC scene. There’s nothing like Times Square on New Year’s Eve—live the classic moment for yourself at the Millennium Broadway Hotel in NYC. Watch the Times Square NYE Ball Drop live and revel in style at Millennium Broadway Hotel’s picture perfect New Year’s Eve party. Kick off the night with a 5-hour open bar, complimentary early evening passed hors d’oeuvres and festive party favors. A live DJ performance will heighten the party mood, spinning open format Top 40, Hip-Hop, House, and Mash-Ups hits. Take a breather from the dance floor and hurry to the private hotel suite where guests will enjoy a guaranteed live view of the Times Square ball drop at midnight. Count down to the New Year with the roaring crowd below and raise your complimentary champagne toast to a dazzling New Year. 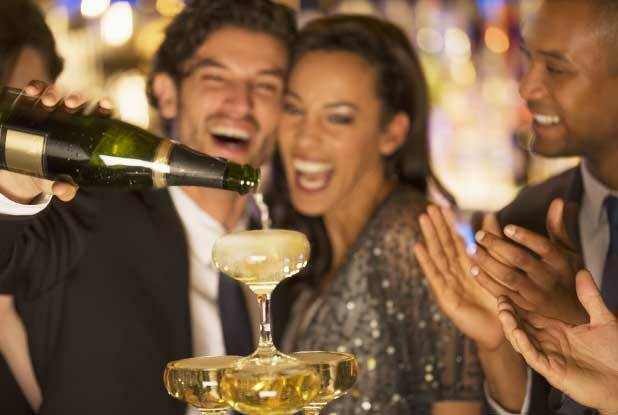 Make the night even more spectacular by choosing a Premier VIP package or romantic Couple’s VIP package featuring reserved table seating and bottle service. 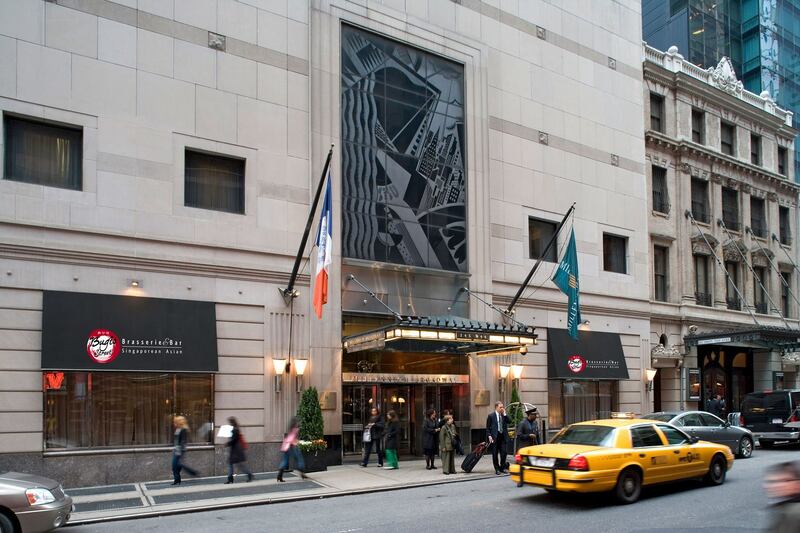 The Millennium Broadway Hotel exudes classic New York luxury. The entrance boasts large mirrors, ornate crown molding, a luxurious fireplace, glittering chandelier, and imperial red and gold carpets, while the lobby features marbled stone floors and pillars and sleek cherry wood accents for a modern cosmopolitan feel. Rooms feature cherry wood furniture and floor-to-ceiling windows offering prime views of Times Square. 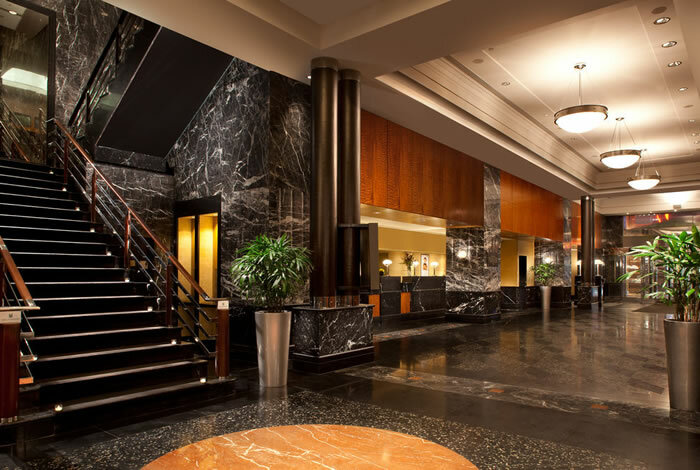 The Millennium Broadway Hotel is a luxury four star hotel in the heart of NYC’s theater district, delivering impeccable hospitality and sweeping views of the Chrysler building and Time’s Square’s glittering neon lights. 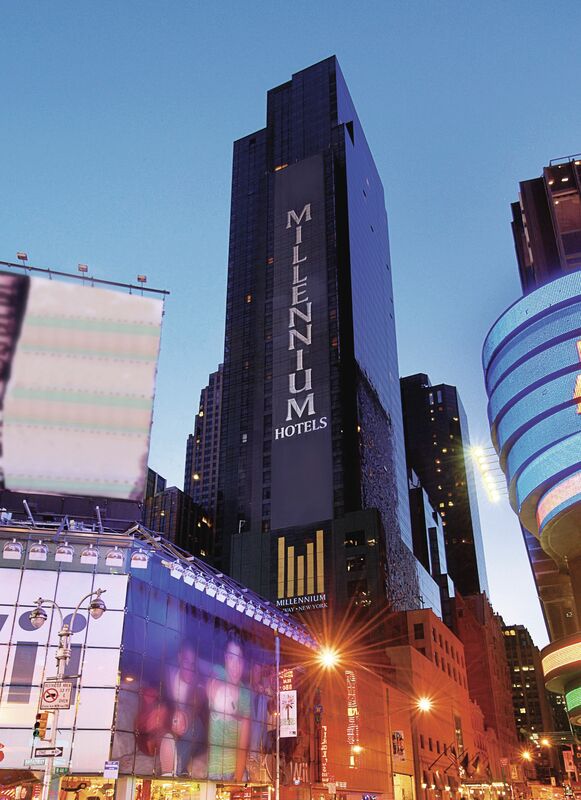 Live the New Year’s Eve you’ve always dreamed of at the Millennium Broadway Hotel in NYC.